I'm a fashion blogger, a working gal, and a new wife. 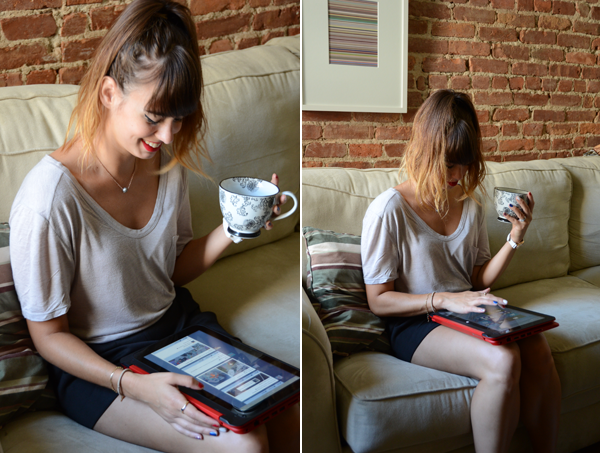 My HP 2-in-1 has allowed me to stay connected with my friends and family and tapped into the fashion world. It allows me to check my social media (both private and blog) as well as enjoy the things I love i.e. reading, listening to music, and cooking seamlessly. Welcome to an ordinary day in my life. 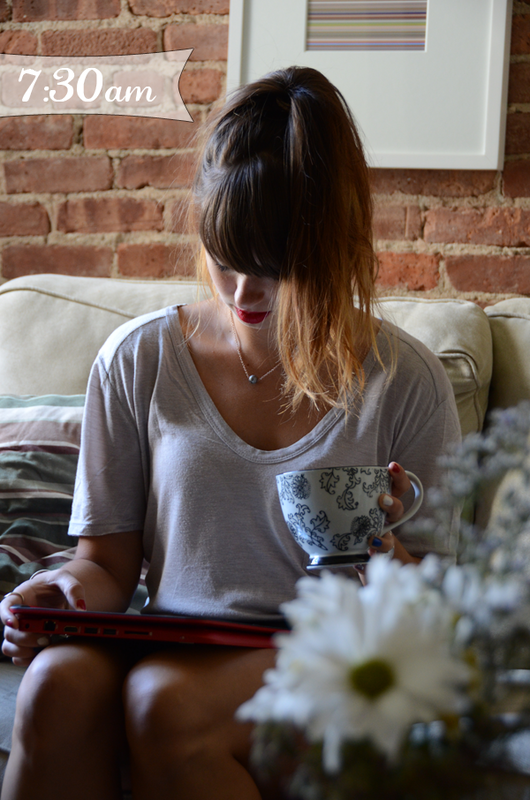 My day doesn't start until I have my first cup of coffee and catch up on my Facebook and Twitter feeds. I'm out the door and heading off to work. My subway ride into Manhattan consist of listening to music while doing some reading. HP 2-in-1 is small and lightweight for me to carry in my bag which is good since NOOK has easily become my favorite reading app. It allows me to subscribe to my favorite magazines (ELLE, Marie Claire, NYLON...) and download a variety of books. Perfect for train rides to and from work. Lunch break! While many of my co-workers go grab lunch I'm running around town to a showroom or to a meeting for Fashionista NY Girl. My 2-in-1 allows me to carry around my portfolio and show my work digitally. As well, as its an easy way to take down notes. It's also perfect to run out to a cafe during lunch to sit down to work on a blog post. Back on the train to go home! Drowning out the masses and digging into a good read. On most days it's never straight home and dinner. It's home to do a quick change for the gym. By the time I get home it's about 8pm and I'm starving. 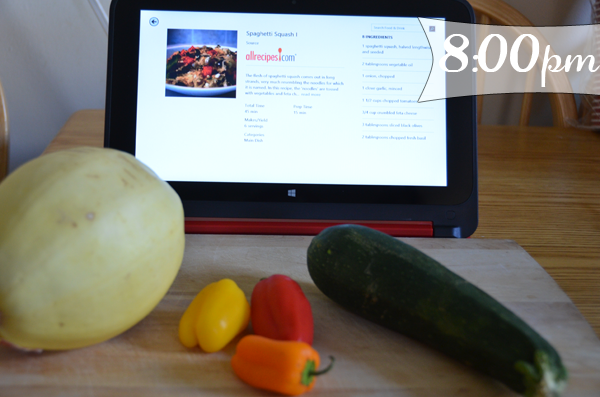 Bing Food and Drink is one of my favorite recipe apps. It allows you not to only look up recipes quickly but create collections of favorite recipes as well as create shopping list and meal plans! Makes weekly dinners at home easy to pull together. Do you have a tablet? 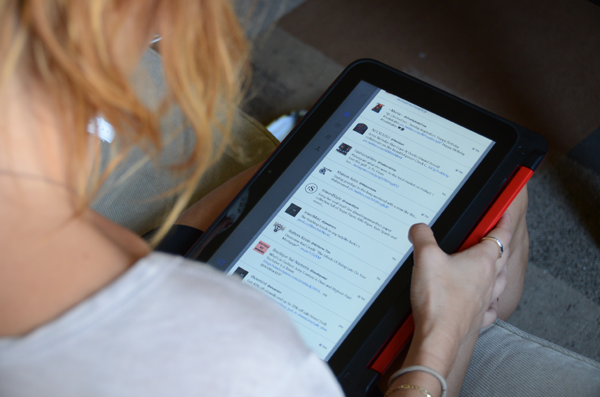 How do you or how would you use your tablet in your everyday life? Amazing photos. Love the black skort! This is a lovely post. It's like a dream. Loving your outfit too. ah! how fun was this post? You know, it's so sad to say, but I've never been to NYC! 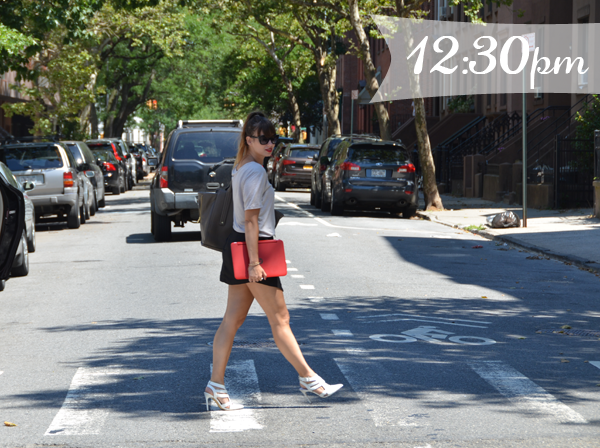 So, getting to read all about a day in the life of a new york blogger was the best. I always love your fun ideas for posts, and your beautiful personal style. Aww that first photo of you is adorable- I'm loving your high ponytail here! And I don't have a tablet but i REALLY want one for watching netflix haha. I feel like that's such an expensive thing to nab just to watch movies on, but man I can only imagine how comfy it is to have that in your lap while in bed. Great post! I love this style of post! I do have an iPad that I generally use for reading books, but I do also watch Youtube on there. As far as reading eBooks, I much prefer using the iPad, rather than my phone or my computer. Such a fun post! I love your blog! Cute post! 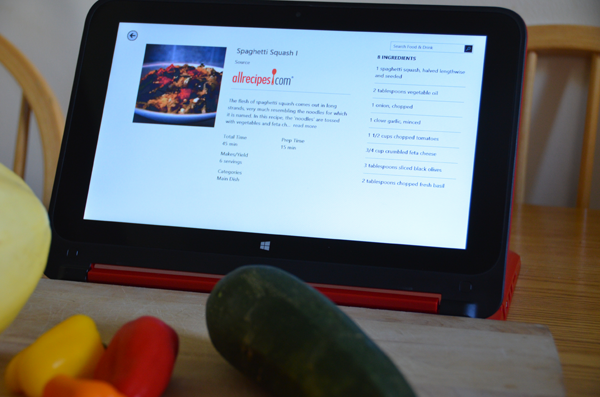 I am going to check out that recipe app - I'm in need of some new ones!